Aniracetam is a racetam because it is formed from a pyrrolidone structure. Fat-soluble, this nootropic is quickly absorbed in the system (we’ll talk more about this shortly). You’ll want to take this supplement alongside fatty acids for best results. Acting as a positive modulator to AMPA receptors, many users will utilize Aniracetam in an effort to boost overall memory and brain function. It is important to note that Aniracetam also decreases receptor desensitization, allowing for prolonged neurological stimulation. Aniracetam works by stimulating the AMPA receptors in the brain, as discussed previously, and will also decrease desensitization of receptors. The main issue is that there are many AMPA receptors in the brain, and they have differing effects when stimulated. Plus, blood will be increased to the brain, further helping boost memory retention. But this nootropic is also being studied with positive results in people with depression. Alzheimer’s disease is also being studied alongside this medication because there are positive results being seen by sufferers. Fat-solubility is very important because it allows for quick penetration of the blood barrier in the brain. This is an area that all nootropics need to be able to cross before results are experienced. This product produces results within just 20 minutes of taking a pill. But the half-life of this product is also shorter as a result. Being fat-soluble, this product has a half-life of 100 minutes to 125 minutes (just over two hours at maximum). 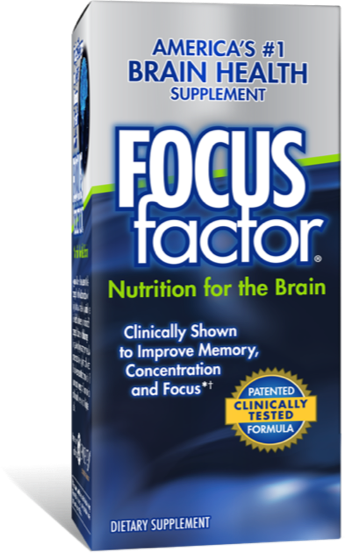 If someone is going to go to a study session that will last under two hours, this is the perfect time to use this nootropic. It’s good for short bursts of increased cognitive function and results. Many users prefer Aniracetam because it works better than Piracetam at stimulating AMPA receptors. These receptors allow for glutamine uptake. Why is this important? AMPA receptors that are inactive will bind to Aniracetam to allow for better glutamine transmission and be far more influential in the brain. Scientists have also studied the effects of Aniracetam on dopamine and serotonin. Surprisingly effective, the results have shown that Aniracetam does influence neurotransmitters that deal with both dopamine and serotonin with great results. Anyone suffering from chemical imbalances will find that this nootropic restores optimal levels of the main serotonin, allowing for an improvement in energy and mood. These are the main benefits of Aniracetam. And the benefits will vary from one person to the next. Some people will notice an increased learning capacity that allows them to remember information drastically better, while others will notice a subtler boost to their overall memory functionality. Since the effects are experienced rather quickly, many users will try to experiment with their dosages. Ultimately, you want to find a way to provide a consistent dose to the blood stream and brain because the half-life is just a little over two hours. If you’re going to be studying or working for eight hours, it’s often best to split up your dosages over a span of 2 to 3 administrations. There is also a concern with efficacy as a user continually takes to supplement. Some people will become accustomed to the Aniracetam, making the effects seem less pronounced over time. What should a person be doing in this case? Cycling – Essentially, you’ll take the supplement for a few weeks at a time and then stop taking the supplement for a few weeks. Many people choose two or three months of taking a supplement with 3 to 4 weeks off. Stacks – The term used for people who take multiple nootropics to boost several different areas of memory and brainpower. This means you will take less of Aniracetam, but you will also be taking other supplements at the same time. The ideas that any choline supplement will help the overall benefits of Aniracetam, or any other racetam. You can take all of the above supplements at one time, or cycle through them to experience increased benefits. You will be happy to know that the body is able to tolerate Aniracetam exceptionally well. Regarded as highly safe for human consumption, there are very few side effects experienced with this memory enhancer. Devoid of toxicity, you don’t need to worry about taking this supplement alongside others. If you’re one of the few people that experience headaches, you may want to add additional choline to your stack. This is shown to be quite effective at reducing the headaches that people experience. No fatal reactions or overdoses have been noted, but it is generally recommended that anyone that is pregnant or nursing not use this supplement or any other nootropic. If you have a serious health condition, it is important to consult with your doctor prior to taking Aniracetam or any other nootropic. You always want to remain cautious if you are on other medications to ensure that they do not conflict with one another.